Lazio, a somewhat overlooked region that lies in the shadow of its famous capital of Rome, is a beautiful, varied area of volcanic lakes, mountains, mediaeval towns built on the rocks, vineyards and olive groves between the Apennines and the Tyrrhenian Sea. Before the heyday of Rome, the Etruscans and various Italian tribes lived here. Beside the outstanding cultural gems, such as well-preserved archaeological sites, impressive cathedrals or monasteries, Lazio offers skiing, swimming and water sports on lakes and the sea. If you already know Rome, go out of the city and explore the rest of Lazio. Built in the 13th century perched against the cliff like a swallow's nest in scenic, mountain area, the Monastero di San Benedetto in the town of Subiaco is a real cultural gem with strong history and atmosphere that should be visited by all the travellers who already know Rome and are interested in exploring more than just the common touristic places. The church and chapel areas are covered with astonishing, well-preserved frescoes and from the courtyard is a breathtaking view. 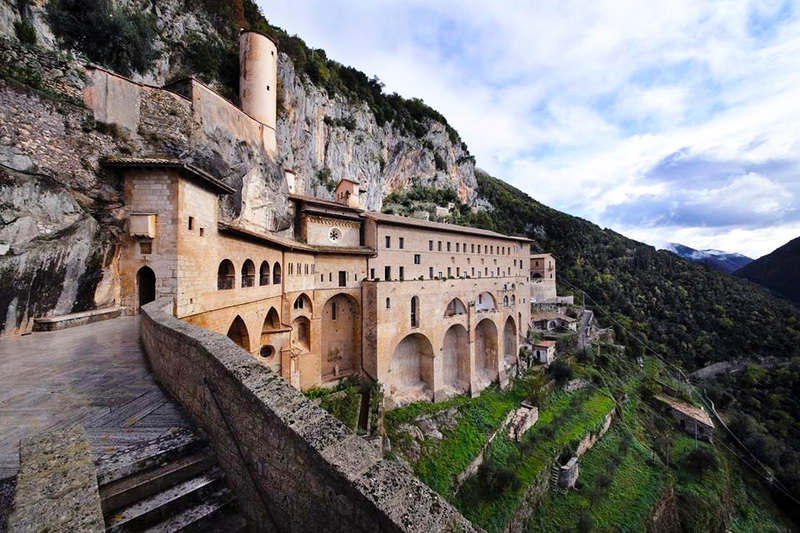 The marvellous Monastery of San Benedetto is located just one hour driving from Rome (or one hour by bus from station Ponte Mamolo in Rome) on the south-eastern part of Lazio. 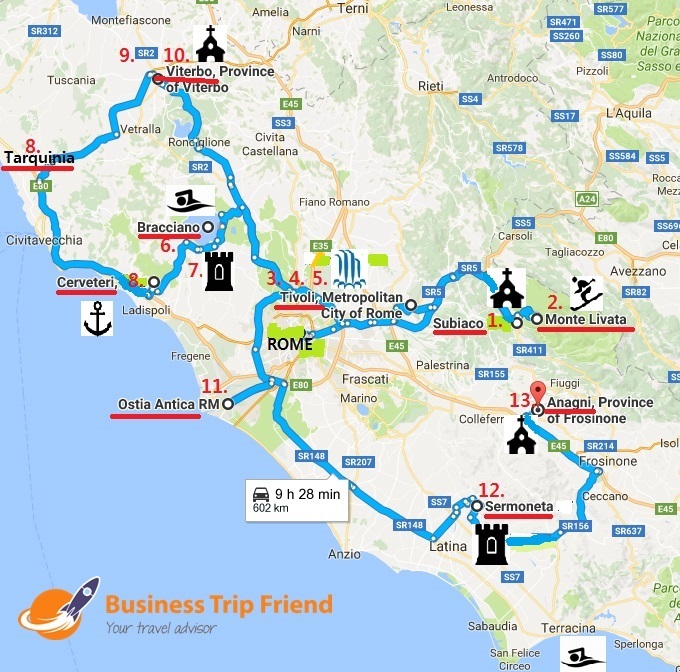 You can find everything in Lazio – also real mountains for skiing! It is a nice surprise to find in winter, just 80 km out of quite warm Rome, incredibly snowy hills. The apartments in the ski resorts of Monte Livata are older, from later 70´s, but the area is nice, there are a couple of places to rent skis, sleds, snowshoes. In summer this place is a great choice if you want to escape from hot Rome. When the temperature in Rome rises to +35 °C, here in Monte Livata is pleasant +22 °C. Positioned in a very steep valley carved out at the foot at the ancient acropolis of Tivoli, villa Gregoriana is one of the most fascinating, special parks in Europe. It was created by Pope Gregory XVI. in 1834 to defend the town of Tivoli from the ruinous floods of the Aniene river. 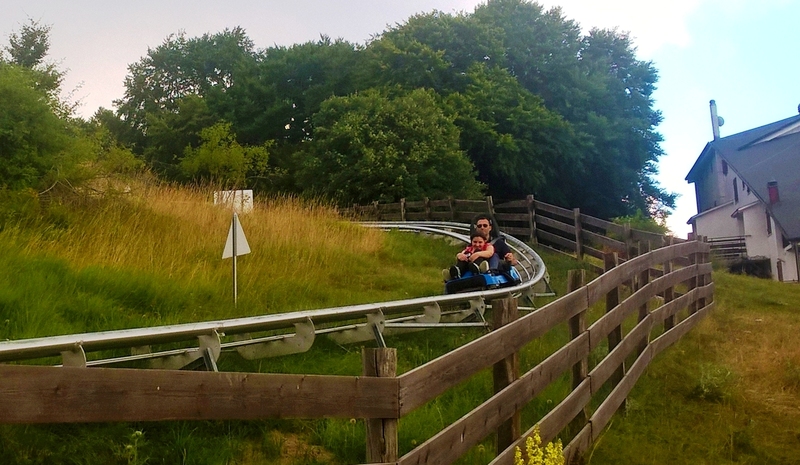 The park consists mainly of thick woodlands with paths that lead to the caves of Neptune and the Sirens, which form part of a series of gorges and cascades, and to the Great Waterfall. You need good shoes and condition! 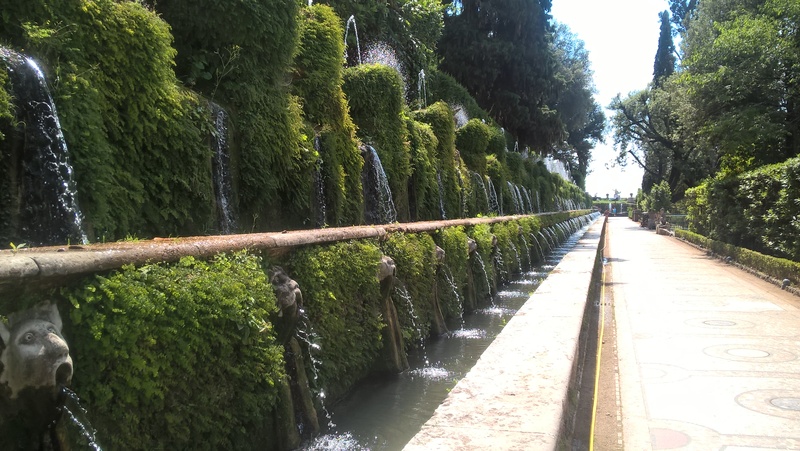 Listed in the UNESCO World Heritage Site, Villa d'Este is a masterpiece and extraordinary example of Renaissance garden design and architecture of the 16th century. With its impressive concentration of fountains, nymphs, grottoes, plays of water, and music, it constitutes a much-copied model for European gardens in the mannerist and baroque styles. The Villa was was built between 1549–1569 and owned by the family d'Este, later became the property of the Habsburgs. 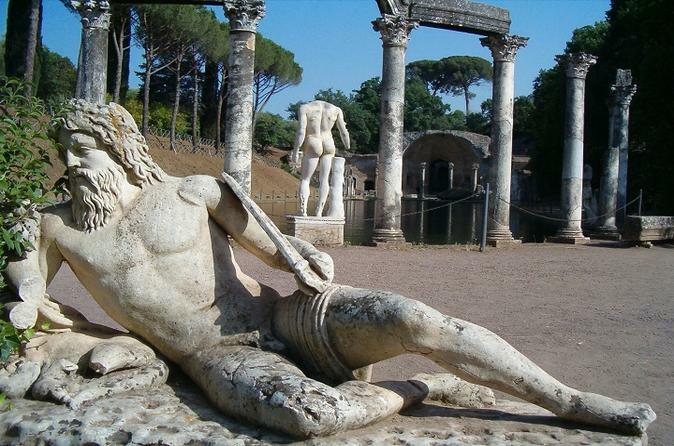 Hadrian's Villa (Villa Adriana) is a magnificent imperial residence spread in area of 80 hectares. 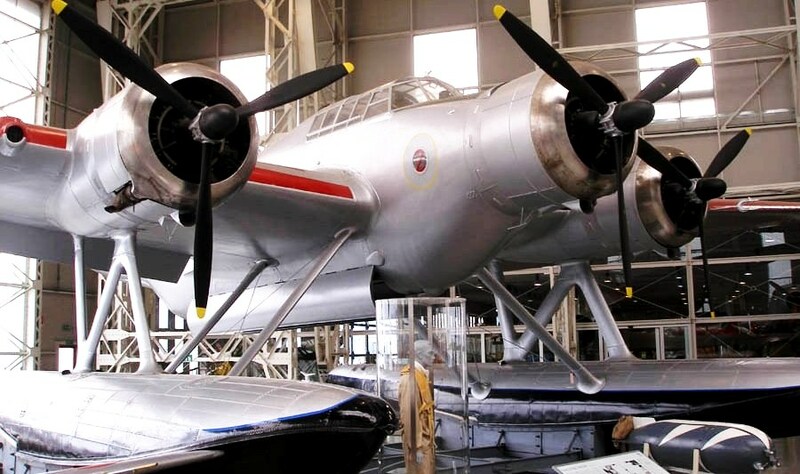 Since 1999, it is listed in the UNESCO World Heritage Site. The villa was built during the reign of Emperor Hadrian Publius Aelia in the years 117-133 AD, approx. 35 km southeast of Rome, near the river Anio. 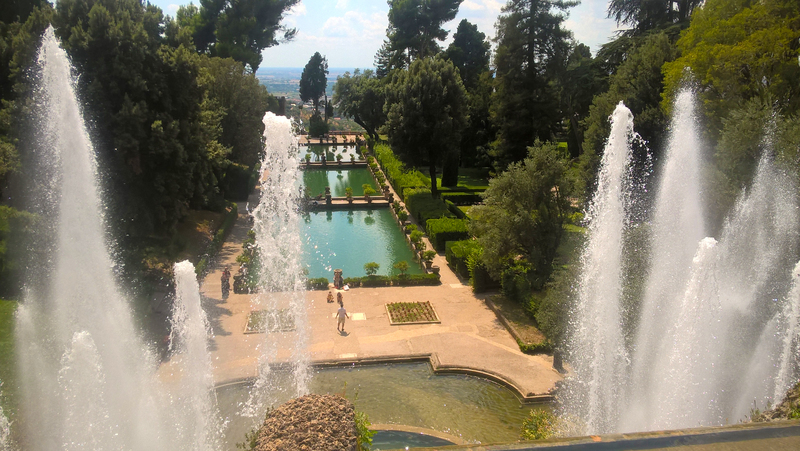 Tivoli (ancient Tibur) at that time was the popular resort of wealthy Romans (Catullus, Horace, Augustus, Maecenas). Visitors can see there value replicas of famous Greek and Egyptian work, totally about 500 statues, fountains, fountains, fine mosaics, frescoes: geometric patterns, hunting scenes, etc. Ceilings are usually propped decorative arches columns of different styles. 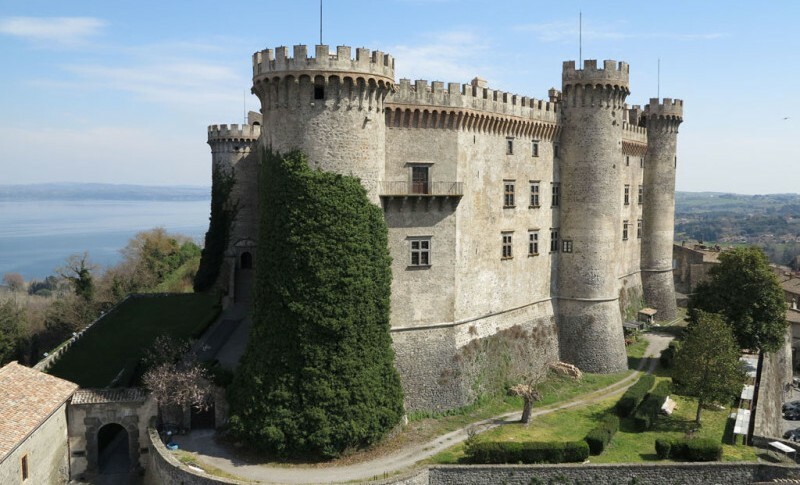 Built in the 15th century, one of the largest and best-maintained mediaeval castles in Italy Castello Orsini-Odescalchi is located on the south-western bank of the volcanic lake Bracciano, about 40 out of Rome. Visitors can see the civil residence of the feudal lords of the period, the Orsini and Borgia, both papal families and also a museum. The castle is a centre of cultural events, there were several high-profiles weddings like ones of Tom Curise with Katie Holmes or Eros Ramazzotti with Michelle Hunziker. The journey from Rome takes approx. one hour by car or by train (stations of Ostiense or Valle Aurelia). 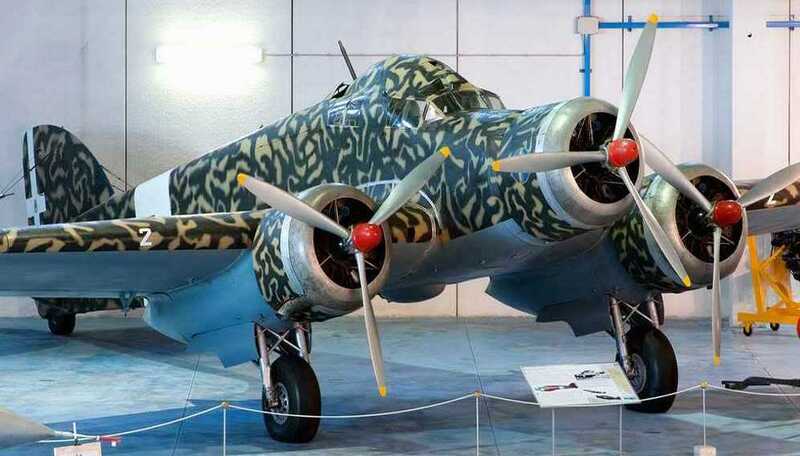 The guided tours are given in Italian and in English. 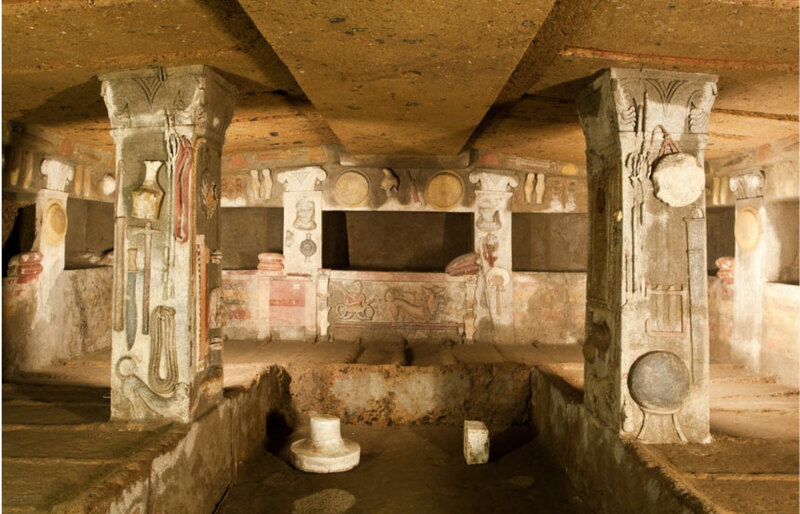 These two large cemeteries reflect different types of burial practices and document the ancient Etruscan culture by the exceptional way. Both places are listed in the UNESCO World Heritage Site. 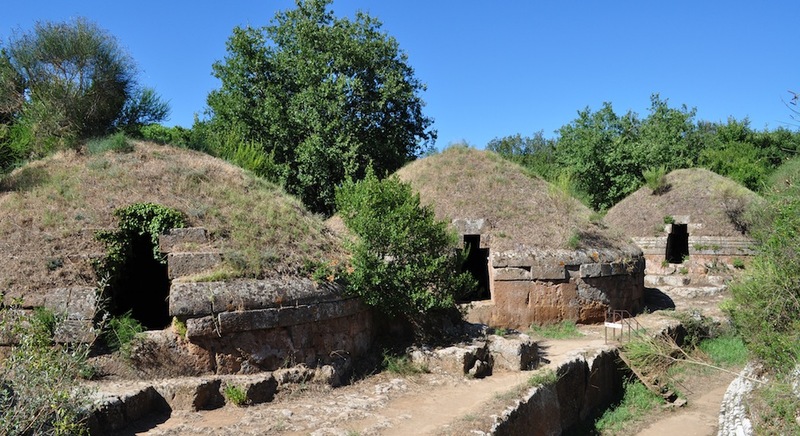 The necropolis of Banditaccia in Cerveteri dates back to the 9th century BC, and expanded at beginning of the 7th Century BC, following a well-defined urban plan (Etruscans were the only urban type of civilisation in pre-Roman Italy). In the area of 400 hectares the Necropolis contains ca. 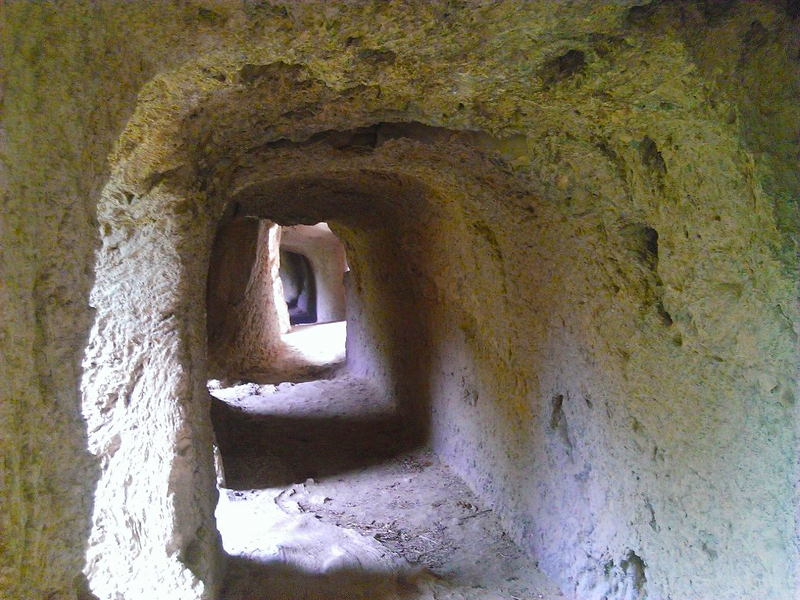 1,000 of tombs housed in characteristic mounds, streets, small squares and neighbourhoods. The name Banditaccia comes from the leasing (bando) of areas of land to the Cerveteri population by the local landowners. 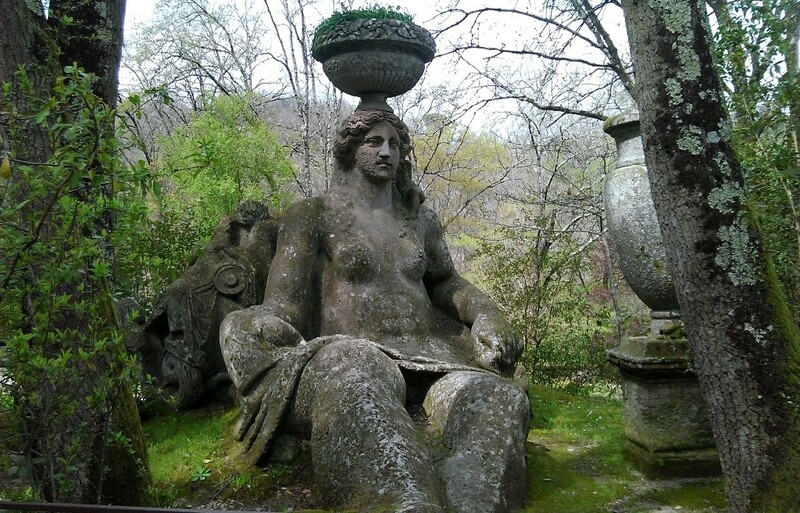 The Sacro Bosco (Sacred wood), also called the parco dei Mostri (the park of the Monsters) or Garden of Bomarzo is an astonishing forest park, a masterpiece created in years 1522-80 from the hand of a noble patron, the duke Pier Francesco Orsini (called Vicino Orsini). This bizzare monumental complex including gigantic allegorical animals, monsters and figures, leaning buildings and waterfall was created in the Manneristic style when prince Orsini was madly in love with his wife Giulia Farnese (her maternal grandmother also named Giulia Farnese was the mistress of Pope Alexander VI). Twenty years later, when his wife died, he dedicated her this piece of work, including the Temple, which is also situated in this park. Later, in the 19th and 20th century, the Sacro Bosco was abandoned and neglicted because of the lack of heirs. In 1970´s, thanks to the Bettini Family, who implemented a program of restoration, Italy still owns this work of art and we can enjoy walking in this „Wonderland“. 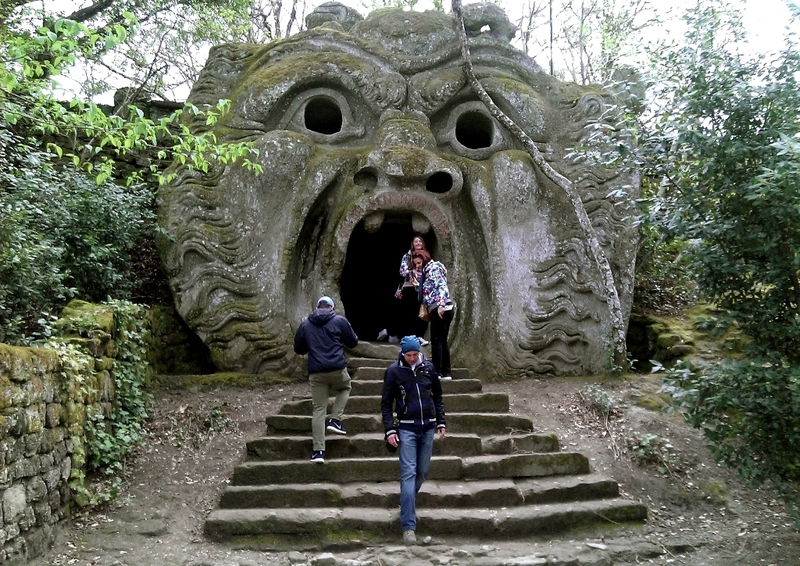 The enormous head of the Ogre symbolised the entrance of the Underworld as Dante´s paraphrase "Every idea flies away". Inside of the mouth it looks like a tavern - there are stone table and benches. The Ceres (a Roman goddess of agriculture, grain crops, fertility and motherly relationships) appears triumphant and nostalgic, crowned with a basket with agaves.The children clinging to her back play like the little cupids on the sarcophagi. 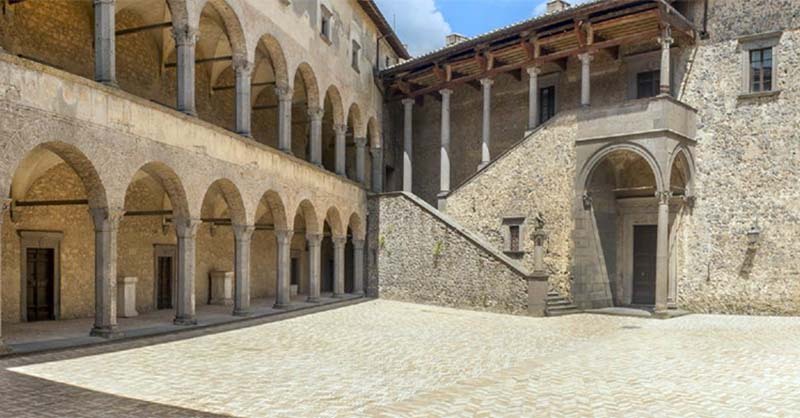 The marvellous mediaeval city of Viterbo is located in a picturesque area of Monti Cimini and Monti Volsini, approx. 80 km from Rome. Viterbo used to be important Etruscan center until the 4th century BC before the Romans conquered it. The greatest prosperity of the city was in the 13th century. That time the Pope was shortlly settled there (1257-81). The oldest and the best preserved quarter San Pellegrino will enchant you by narrow aisles, medieval buildings with towers, arches and external stairs that connect the square with the fountains. 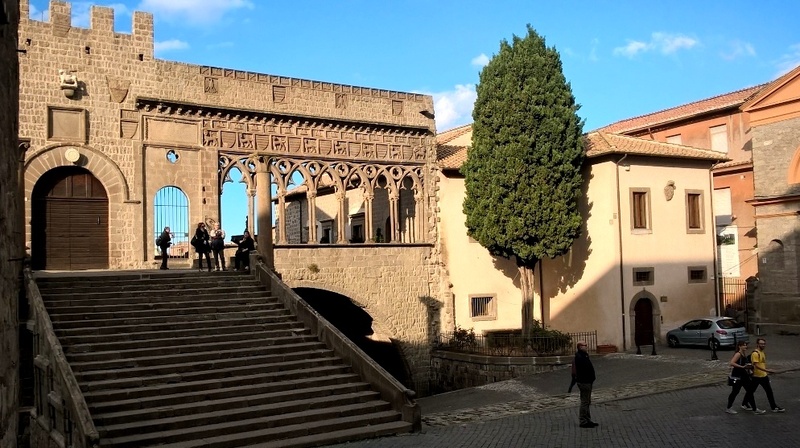 Cattedrale di San Lorenzo (Cathedral of San Lorenzo) with its elegant black and white bell tower from the 12th century and the adjacent Palazzo Papale (Papal Palace) with its impressive balcony are the most remarkable buildings in Viterbo. 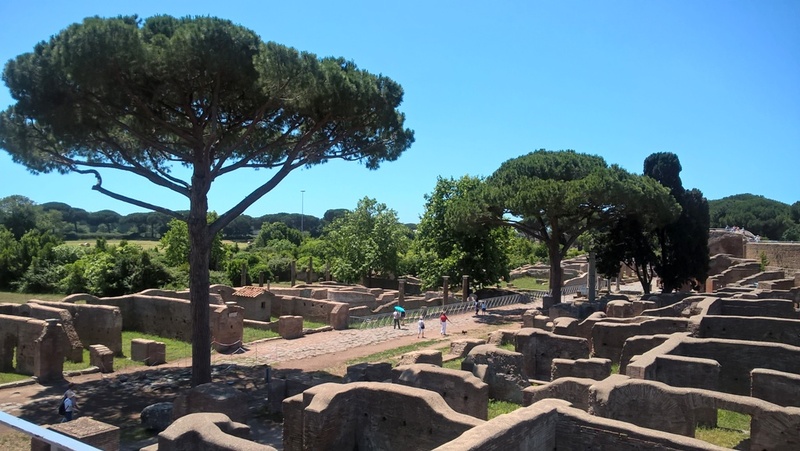 Ostia Antica is located on the banks of the Tyrrhenian Sea, just about 23 km from Rome. The journey by train takes just 30 minutes. After the famous Forum Romanum, it is the 2nd best preserved city of ancient Rome. Although it is a real gem, it isn´t too touristic so don´t worry about going through crowds of tourists. 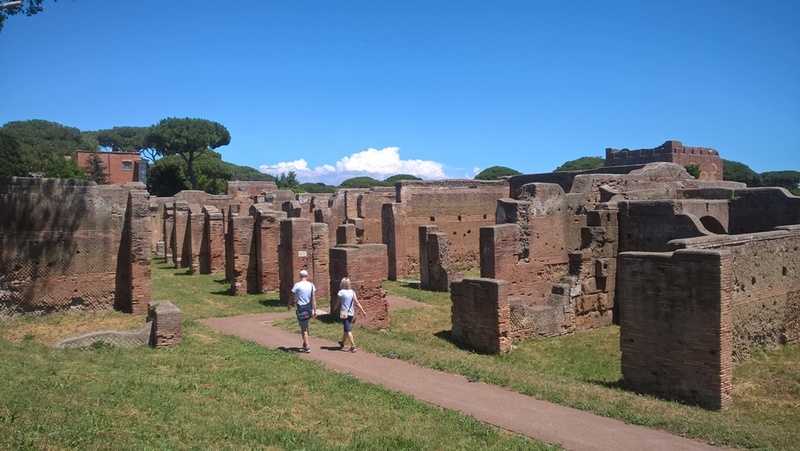 Ostia was founded about 620 BC and for more than 600 years it was an important seaport and a naval base of ancient Rome, as well as a business and cultural center. The port was mainly used to supply Rome with food and building materials. 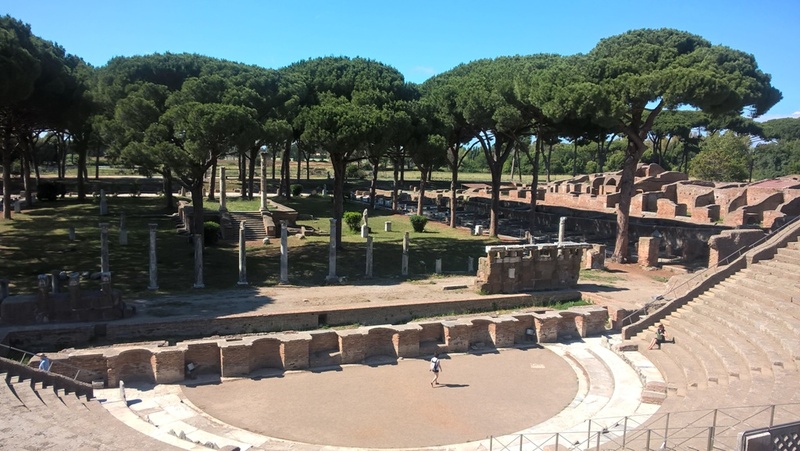 At the time of its greatest prosperity, Ostia had 100,000 inhabitants, and there were spas, theaters, many temples, and villas of richer merchants. In the 5th century AD the city began to decline due to malaria. The harbor was gradually destroyed by mud deposits that buried the houses here. Thanks to this “preservation”, the houses survived surprisingly well. Today, you can admire this city thanks to the archaeologists who have been working to discover it since the 19th century (the most intensive excavations was in the period of fascism - between 1938 and 1942). The massive, well-preserved Caetani castle is located in the medieval hillside town of Sermoneta, about 85 km south-east of Rome. 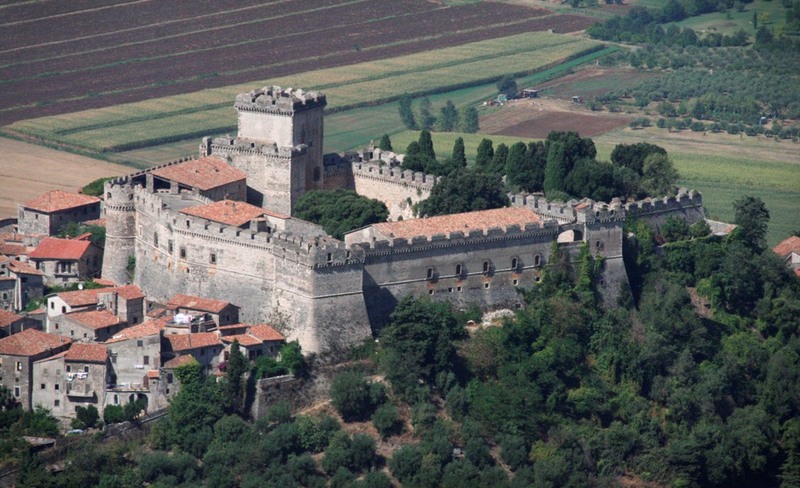 It was built for the Annibaldi family in the early 13th century as a military fortress. That time the castle was used as a bastion of strategic importance between Naples and Rome and also as a noble house. The castle is embedded in the solid rock and its outer walls are 3 meters thick. There are two towers (one 42 metres tall and another shorter one), a church and a cistern to collect rain water. Every full hour there is a guided tour in Italian. 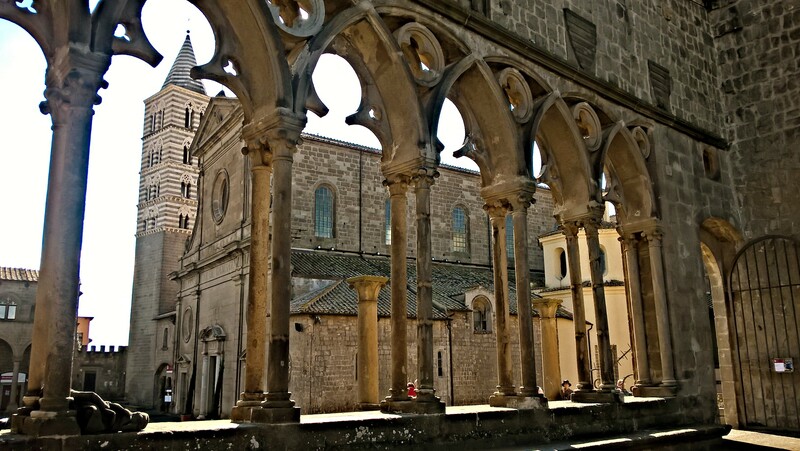 The small medieval hill town Anagni (475 meters above sea level), built inside Roman boundary walls, boasts by the impressive cathedral, dedicated to St. Mary. The cathedral was built in Romanesque style during the 11-12 century, with the Gothic extension in the middle of the 13th century. 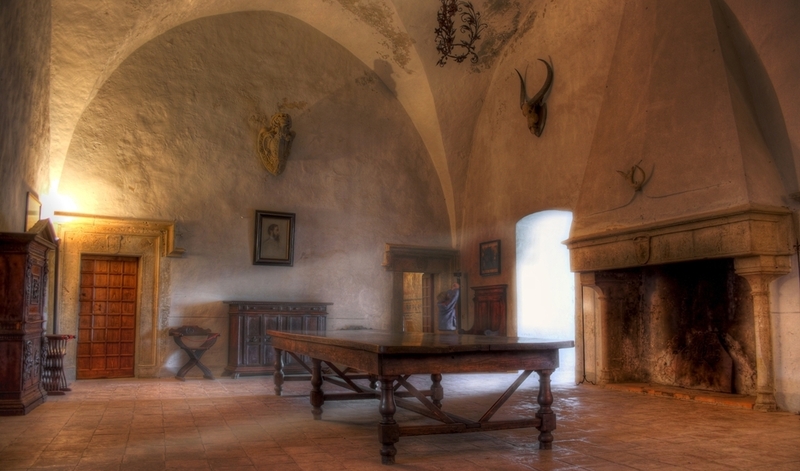 The most value art treasure is held in the crypt. 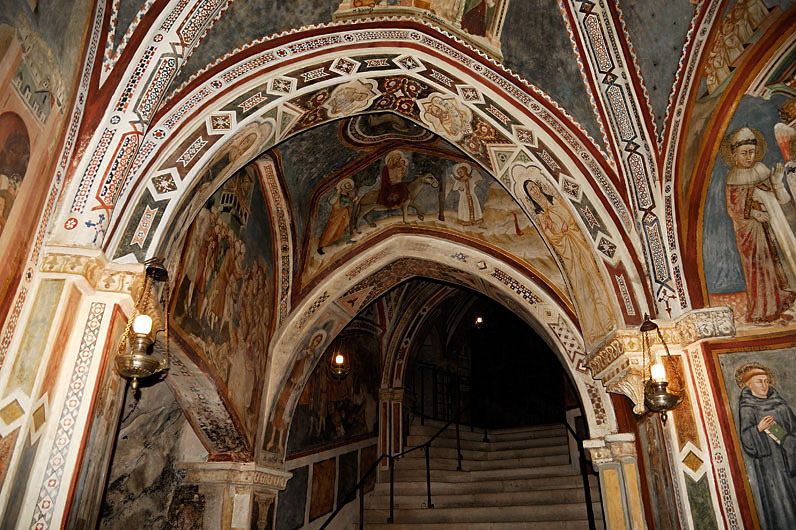 Beside the tombs of St. Magnus (the patron of Anagni) and St. Secundina, you can find there beautiful, well-preserved frescos on the walls and ceiling, painted by Benedictine monks, depicting stories from Bible e.g. the Apocalypse. 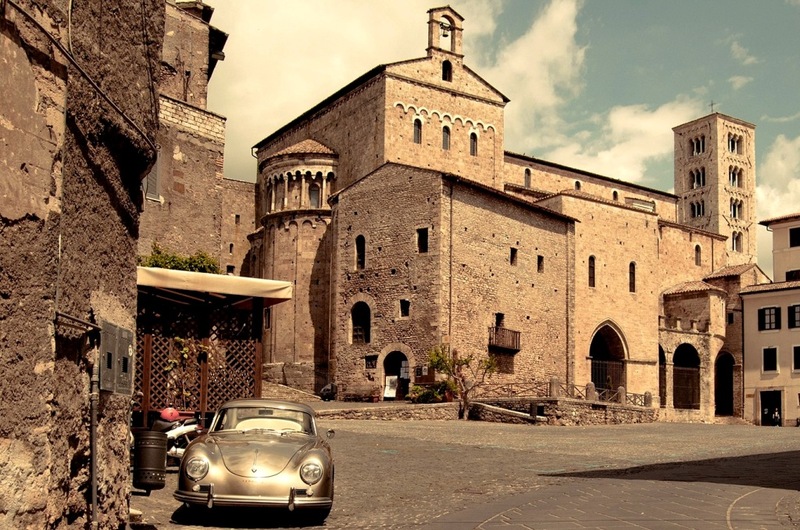 Anagni is located about 70 km to the East of Rome. 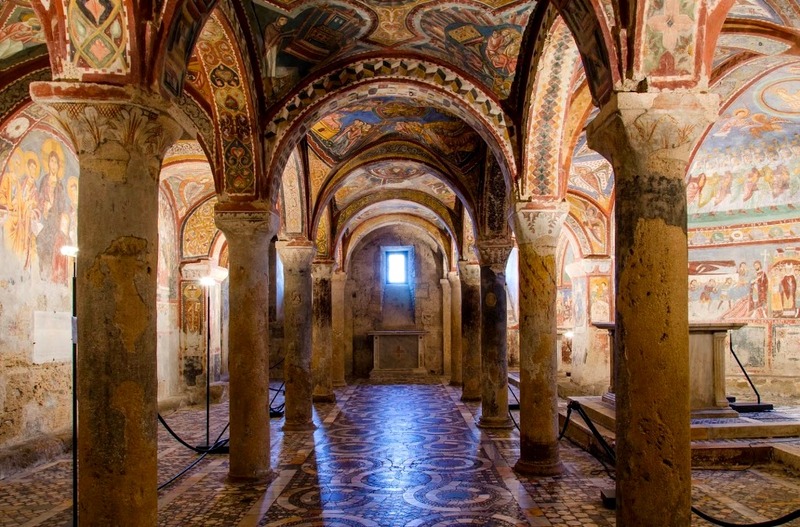 The beautifully decorated crypt by frescos in Anagni Cathedral.